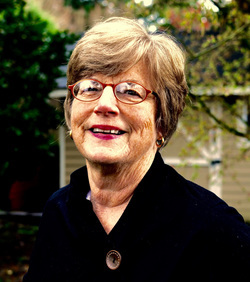 Betsy Lydle Smith, of Bainbridge Island, WA, is a Master Facilitator with The Virtues Project™. As the founder of Virtues Training, since 2001 she has conducted Virtues Project workshops and training for schools, organizations, individuals, and families in Washington, Oregon, California, Montana, Alaska, Texas, Wisconsin, New York, Hawaii, Canada, and Japan. A certificated K-12 teacher with 25 years of experience in education, training, and facilitation, Betsy has taught elementary, jr. high and high school students in Calif, NY, Germany, and WA State. She has seen her students become more responsible, caring, respectful, self-disciplined, and peaceful by using The Virtues Project strategies. Betsy’s work focuses on creating a culture of character in schools, families, and for individuals interested in purposeful personal growth. She also facilitates webinars and online courses in The Virtues Project strategies. Betsy is a wife, mother of two grown daughters and a grandmother. She has found Virtues Project™ concepts and strategies invaluable in family, personal and professional relationships. She has a gift of making workshops understandable, usable, personally enriching, and fun. Her style of training facilitates self-discovery and helps people move beyond their current levels of performance to new more effective communication, teamwork, and positive approaches. Betsy is a dynamic, energetic, inspiring presenter. Her knowledge of the virtues and the five life skill strategies of The Virtues Project™ is deeply rooted in her years of intensives with myself and Dr. Dan Popov, and her integrity in "walking the talk." She was one of the first individuals to whom we gave the right to become a trainer of facilitators because of her excellence, knowledge and skills. ​Betsy Lydle Smith is one of the best Master Facilitators! We have worked together for 20 years in The Virtues Project. Betsy’s integrity, steadfastness and commitment to getting the virtues into the world is awesome. She works very well with diverse populations and she does so joyously! Contact Betsy at betsy@virtuestraining.com today for more information on her workshops, or take the online Introduction to The Virtues Project™ today.